Council bodies have used their submissions for Wednesday’s Autumn Statement to restate demands for more devolution and funding for transport. In its submission to chancellor Philip Hammond, the Local Government Association (LGA) said ‘devolution needs to go further, secure financial sustainability through greater local freedom and ensure that existing EU funding commitments are honoured’. The LGA re-iterated many of its members’ longstanding demands over transport. It called for devolved funding for transport bodies, for 2p per litre of fuel duty to be devolved to councils to clear the backlog of road repairs, along with the £250m Bus Service Operators Grant, and for the national concessionary travel scheme to be fully funded. It also called for fundamental change to funding for flood risk management projects, with capital and revenue ‘devolved into a single, place-based pot to allow local areas to support a more diverse set of outcomes’. The County Councils Network said the extra cash from the full retention of business rates should be used to devolve strategic growth functions to all areas ‘to ensure that all areas can contribute to sustainable growth and increase productivity’ after ‘underfunded pressures’. It added that while it supports proposals contained within the Bus Services Bill, ‘the restrictive nature of additional powers to elected mayors and alongside continuing funding reductions means that the proposals would not offer protection to rural bus services’. 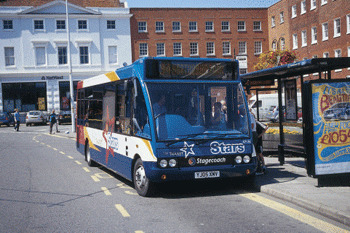 It estimated the ‘unfunded pressure’ of the statutory concessionary fares scheme, believed to fall disproportionately on county authorities, at £200m. The District Councils’ Network's submission focussed primarily on 'the need to ensure that districts, as strategic housing and planning authorities, are best able to help deliver the Government meet its housebuilding ambitions and that moves towards full business rates retention fully incentivise local economic growth'. It said it wanted to 'fully support and deliver the Government’s housebuilding ambitions' and also fully supported the priorities of the Government for local government to expand devolution and to provide more financial freedoms for local government through the retention of 100% of business rates. The Treasury has said Mr Hammond will announce £1.3bn of spending on roads and transport, and ‘billions’ on other infrastructure, including £1bn on digital connectivity.